Saddle can be exchanged, is quickly put on, and reliably lockable - without tools! Holder for tablets, smartphones, etc. Kettler Golf C4: Top equipment. Smooth concentric run. High-quality materials. The Kettler Golf C4 is a classic upright bike, which knows how to convince by great equipment features. You move the copper-refined balance mass of 6 kg via the high-quality, maintenance- and wear-free drive system (longitudinal ribbed belt) - and enjoy a smooth concentric run. The pedalling quality index ((TQI) of the upright bike Golf C4 at 7.9 confirms it. In cooperation with a renowned, independent testing institute, Kettler tested its upright bikes and exercise bikes with respect to their pedalling quality within the scope of a scientific study. The test result of the Golf upright bike was mainly amazing. Why? Despite its "smaller" drive, it convinced absolutely and left competing upright bikes with higher balance masses behind. The very good features of concentric run are provided by the high-quality materials and the perfect alignment of the components. The motor-adjustable magnetic brake system works on the balance mass and generates the resistance. 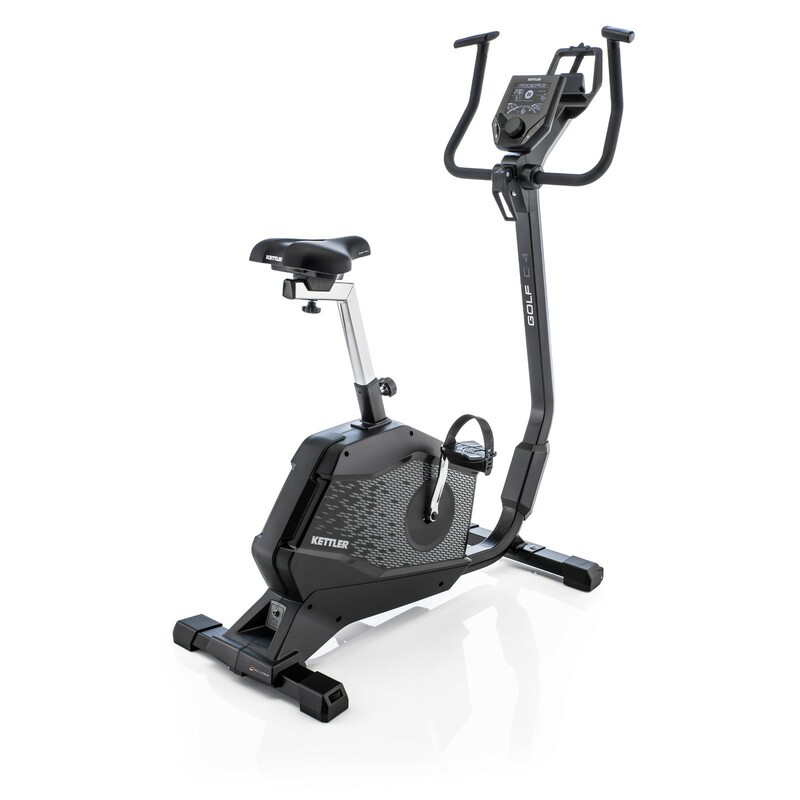 Thanks to 15 resistance levels or gears, the Kettler upright bike Golf C4 is well equipped. Kettler upright bike Golf C4: Training machine for the whole family. The Kettler upright bike Golf C4 is equipped with the innovative saddle concept "Kettler Perfect Adjustment System". It offers individual, customised saddle solutions for the whole family and simplifies enormously the adjustment of the individual sitting position. You can choose from three different saddle upper components with different technologies each (BASIC FOAM, FLEXIBLE FOAM, 3D GEL). The Golf C4 is already equipped with the BASIC FOAM saddle upper component. However, when the Golf C4 is used by several family members, it is recommended to have a second or third saddle at hand due to individual sitting needs. So everybody can benefit from it and train as comfortable as possible. In addition, the saddle upper components can be easily removed without tools by a click - easy, quick, reliable. Put the saddle on, lock it, and start cycling. Thanks to its comfortable and extra deep step-through, the Kettler upright bike Golf C4 offers a comfortable, safe getting on and off. That reduces the risk of injury as well, so that the Golf C4 is also suitable for older family members and persons with physical constraints. Taller family members will also benefit from it, because the Kettler upright bike Golf C4 can be upgraded with a longer saddle tube. The training computer of the Kettler Golf C4: Structured. Intuitive. 10 training programmes. Cycle comfortably at home with the Kettler upright bike Golf C4, whenever you want to. 10 training programmes will support you and make your training diversified. Six profiles and an individually configurable profile per user are available for you (a memory space for four users plus a guest is given). Furthermore, you can use a heart rate oriented training programme, whereby the programme controls the brake resistance on the basis of a pulse value. Further training types are Recovery Test (recovery pulse measuring with fitness mark) and the Quickstart (free training without defaults). During the whole training, the well structured LCD display informs optimally about important training data (time, speed, distance, rotations per minute, heart rate, energy consumption, current performance, current brake level). The menu navigation is intuitive, target-aimed, and quite easy thanks to the central press and turn element. Ik wil alleen weten of er voor die hartslagmeter een battetij in moet en hoe werkt dat. Bestellung, Versand und Aufbau waren sehr leicht. Seit vielen Jahren ist ein Fitnessfahrrad bei uns im Gebrauch. Dieses Design und die vorinstallierten Programme sind sehr gut. Die Verarbeitung ist , wie man es von Kettler, erwartet hervorragend. Klare Kaufempfehlung. Bin mit allem zufrieden. Lieferung kam schnell, dank der unkomplizierten Montageanleitung schnell zusammengeschraubt. Sehr leise. Hält ein was er verspricht. Daumen hoch. Adjustable Foot Pedal In stock! Kettler upper saddle component 3D Gel Foam In stock! 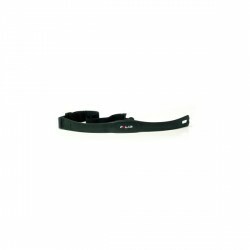 Kettler upper saddle component Flexible Foam In stock! Kettler saddle tube In stock! Kettler multi-position handlebar In stock! Kettler upright bike Golf C4 add to comparison list.